Hello! friends, what happened to the month of January? Didn't it go by crazy fast! 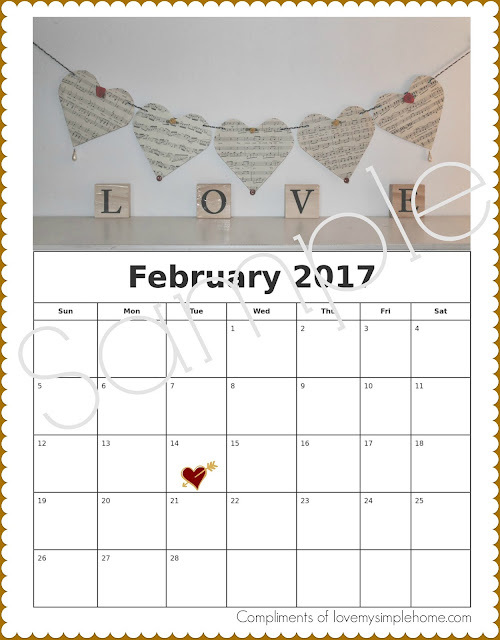 I hope you had the chance to use my January 2017 Free Printable Calendar. I am the type of person who needs to jot down everything or I'll forget what it is I'm supposed to do for that day. In order for me to stay focused and on my toes, I created printable calendars, one for every month. In case you're a lot like me, I'm offering these calendars free for your use. The 2017 February Calendar has an original photo taken by me and plenty of space for you to jot down your plans for each day! To get your free printable - February 2017 calendar just click on the link below.